"What good is it for me to choose the right home or spouse if I'm still eaten up with covetousness? What does it profit me to make the right choice if I'm still the wrong person? A lost person can make 'good choices'. But only a person indwelt by the Holy Spirit can make a good choice for the purpose of glorifying God." In His Image tries to help those who are always questioning about what is God's will in their life. The author states that instead of asking "What should I do next? ", we need to start asking "Who should I be?". This book will help us learn to transform our lives into who we should have been according to God's will. First and foremost, there's a difference between God's incommunicable and communicable attributes. Incommunicable attributes are those that belong to God alone, such as: omnipresence, omniscience, etc. In this book, Jen Wilkin focused on describing 10 of God's communicable attributes that we can exhibit through our lives: that God is holy, loving, good, just, merciful, gracious, faithful, patient, truthful, and wise. "God is holy, loving, just, good, merciful, gracious, faithful, truthful, patient, and wise. When we talk about being 'Conformed to the image of Christ,' this is the list we are describing. It is this list I intend to explore, ten attributes that show us how to reflect who God is as Christ did." "The hope of the gospel in our sanctification is not simply that we would make better choices, but that we would become better people. 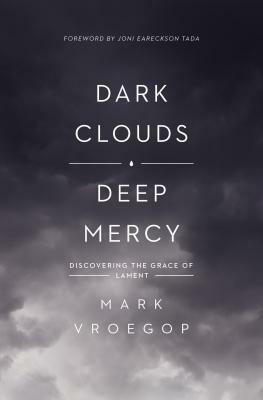 This is the hope that caused John Newton to pen,“I once was lost but now am found, was blind, but now I see.”"
I absolutely love this book because it has certainly made me reflect upon my life, pondered about whether my life has reflect God's character or not. I personally think the author was able to interpret God's character in a relatable way, using examples from our daily life and also her experiences, while at the same time quoting the Bible for references. Even though this is quite a short book to read, I find myself reading it a slower pace so that I'll be able to take it all in. I especially love the fact that each chapter ends with a reflection page filled with Bible verses to meditate on, some questions for us to answer and reflect upon, and also a prayer prompt. 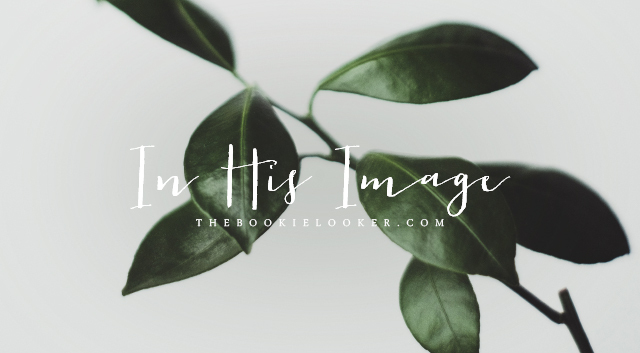 These pages will help us in remembering what we have understand and guide us in finding practical ways to reflect God's characters in our lives. "The Word of God gives us discernment into what is arguably the area we need it most: the thoughts and intentions of our own hearts." "Worldly wisdom trusts in earthly possessions. Godly wisdom trusts in treasures in heaven. Worldly wisdom boasts. Godly wisdom is slow to speak. Worldly wisdom says trials will crush you. Godly wisdom says trials will mature you." One of my most favorite chapters in this book is the one about Wisdom. In this chapter, the author describes Godly wisdom and uses the example of Solomon from the Old Testament. And then she makes the comparison between wisdom and knowledge. This part really opened my mind because there are many times when I asked God to tell me what to do, and Jen Wilkin categorizes that as asking for knowledge instead of asking for wisdom. 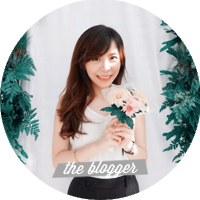 She uses a very good and relatable parable to illustrates the difference. Rather than constantly asking for knowledge, wisdom is having an internal framework for making decisions that will be able to discern what is the will of God, what is good, acceptable, and perfect. Another chapter that I really like is Patience. I certainly know for sure that God is most patient, because He's been constantly patient with me through my failures. In this chapter, the author encourages us to be patient as God is patient—which obviously is not an easy thing to do. Impatience is closely related to an easily kindled, unrighteous anger, thus we need to be able to prevent ourselves from losing patience. This chapter encourages us that every time we are about to lose our patience, we need to remind ourselves of God's perfect patience and follow His example. "When we grow frustrated with a friend or family member who persists in sin, we can remember that Christ bears patiently with us. When we begin to think that a circumstance is stretching longer than we can take, we can remember the patience of Christ to wait on the Father’s timing in all things. When we are weighed down by suffering, we can remember that in Christ’s greatest moment of suffering he set his face like flint and even prayed for the forgiveness of his adversaries. And when we feel discouraged with ourselves for continuing to give in to sin, we can remind ourselves—and I can’t believe I’m saying this—to be patient, because God isn’t finished with us yet." "If we can’t be patient longer than five seconds for a website to load, we are not likely to weather a lengthy trial or sustain a hard relationship very well. Our anger will be easily kindled every time we don’t get what we want when we want it." "We can't discern what’s false if we don't train our eyes on what is true. The best weapon we have for discerning true teaching from false teaching and sin from righteousness is "the sword of the Spirit, the Word of God" (Eph. 6:17). The Word of God is a weapon, forged to combat forgery. We must know how to handle the Bible rightly, and we must know it as comprehensibly as possible in our lifetime. If spiritual warfare is the purview of the Father of Lies, we must arm ourselves with truth. Truth is a book, and that book is a weapon." 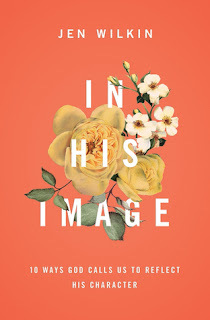 After reading this book, I'm really interested to read Jen Wilkin's previous book: None Like Him: 10 Ways God is Different from Us, which talks about God's incommunicable characters. I really enjoyed her writing in this one, so I think I'll be able to love her previous work as well. 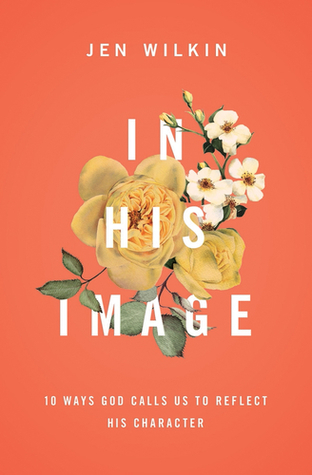 In His Image is definitely a book that I would want to reread again some time in the future, to remind and help me reflect upon my life as time goes by. I highly recommend this book because it has encouraged me a lot to strive to be transformed into the likeness of God.